Our Director of Operations & Partnerships Natalie Smith is visiting with member schools in the UK this week. She started the week visiting Winchester College, a school that’s been in its present location for over 600 years! It was founded in 1382 and had a curriculum based primarily on classics until the 1860s when the curriculum was modernized and now provides a broad and well rounded education to some 600 students. What an incredible background. On Wednesday Natalie toured the grounds and facilities of Cheltenham Ladies’ College, the school where our newest Chair Eve Jardine-Young is currently Principal. Cheltenham Ladies’ College, founded in 1853, is located on the edge of the Cotswalds, an Area of Outstanding Natural Beauty. With beautifully landscaped grounds and stately buildings, Cheltenham Ladies’ College is itself outstandingly beautiful. On Tuesday Natalie spent some time getting to know the Millfield School in the south west of England. Located in the county of Somerset, the Millfield School was founded almost a hundred years ago when a house built by the family who owned the Clarks shoe company was converted into a school for seven Indian boys, six of whom were princes. That’s quite a history. Millfield is now the largest co-educational boarding school in the UK. Finally, to close off a busy week of learning Natalie headed to Tonbridge School, another very well established independent boarding and day school that was founded in 1553. 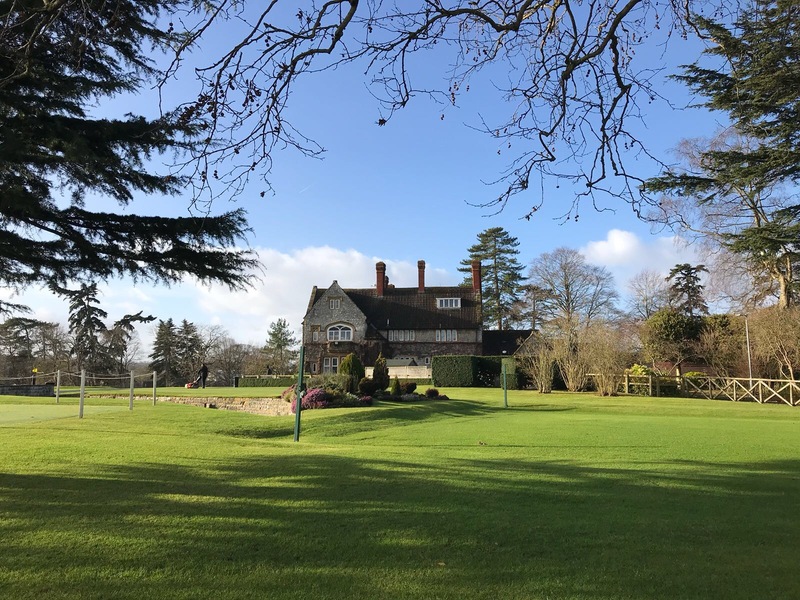 With a very strong house system and personal attention dedicated to each student, Tonbridge certainly merits its reputation as one of the leading boarding schools in the UK. No doubt an inspiring close to a week full of affirming and enriching experiences with our member schools in the UK. Thank you to everyone who took the time this week to make Natalie’s visits everything they could be.